The title of a 2007 article in the journal Nutrition Reviews says it all: Food, Not Nutrients, Is The Fundamental Unit In Nutrition. We need to shift our focus away from “nutrients” and towards “food” in order to understand the effects nutrition has on health. Why? Because whole foods are so much more complex than nutritional science can understand. Focusing too narrowly on nutrients has obscured the true value of eating Real Food. “Nutritionism has been good for the food companies and supplement sellers ready to profit from government-approved health claims. Orange juice with added calcium and chocolate with added probiotics would not exist if not for the nearly universal acceptance of nutritionism. But it has not been noticeably good for our health…. She then takes it a step further, to show just how ridiculous nutritionism can be when we jump on that bandwagon. I couldn’t agree more. Even though I study nutrition and am forced to speak about the wonders of certain foods in terms of nutrients, I don’t want any of you to get the wrong idea. Although I’m glad that nutritional science can help me understand exactly why coconut oil is a great fat, or why grass-fed beef is a healthy food choice, that’s not why I eat these foods. So simple, really! This is food that your great grandmother would have recognized as food. This is food that has been eaten or prepared this way for hundreds, if not thousands of years. This post was inspired, in part, by a recent post of Rob Smart’s called Experiencing Food v. Thinking Nutrients. This post is also part of Kelly The Kitchen Kop’s Real Food Wednesday carnival. 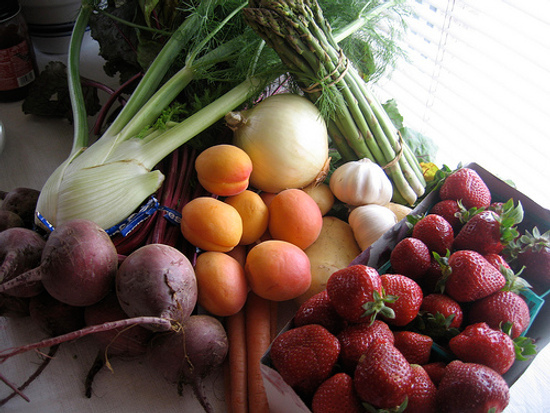 For other interesting articles, anecdotes, and stories on Real Food, go check it out! Original Post by: Kristen Michaelis, The Food Renegade, BLOGGED HERE.